Skiing in the Colorado mountains introduces you to all of the elements. From frigid, windy mornings, to sunny, powder-filled afternoons, the Alvier Armor HS Hooded Jacket and Alvier Armor HS Pants from Mammut have proved to be quite the waterproof and windproof kit for the resort and backcountry. An ideal combination of style and technology, the kit integrates Mammut Phase Weave™ which combines different material properties for high comfort and an aesthetic look. Metallic zippers add a feminine touch, and the durability available on the hardshell material means you won’t get abrasions or tears from tough terrain. On the jacket, the helmet-compatible hood has snow-specific construction and versatile adjustability. 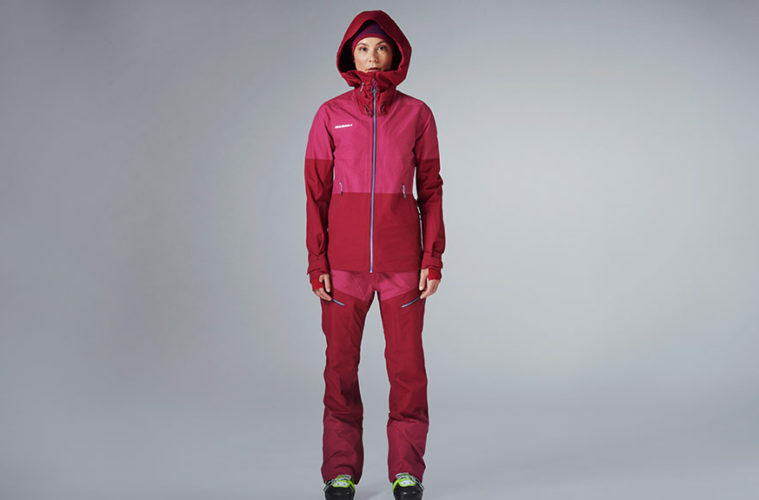 Details are everything in this piece: underarm ventilation available behind a splashproof, two-way zipper; a key clip in one of the side pockets; internal pocket and a ski pass pocket; detachable, elastic snow skirt that has snap buttons to attached the jacket to the pants, and laser-cut hand gaitors to keep gloves on and snow out. 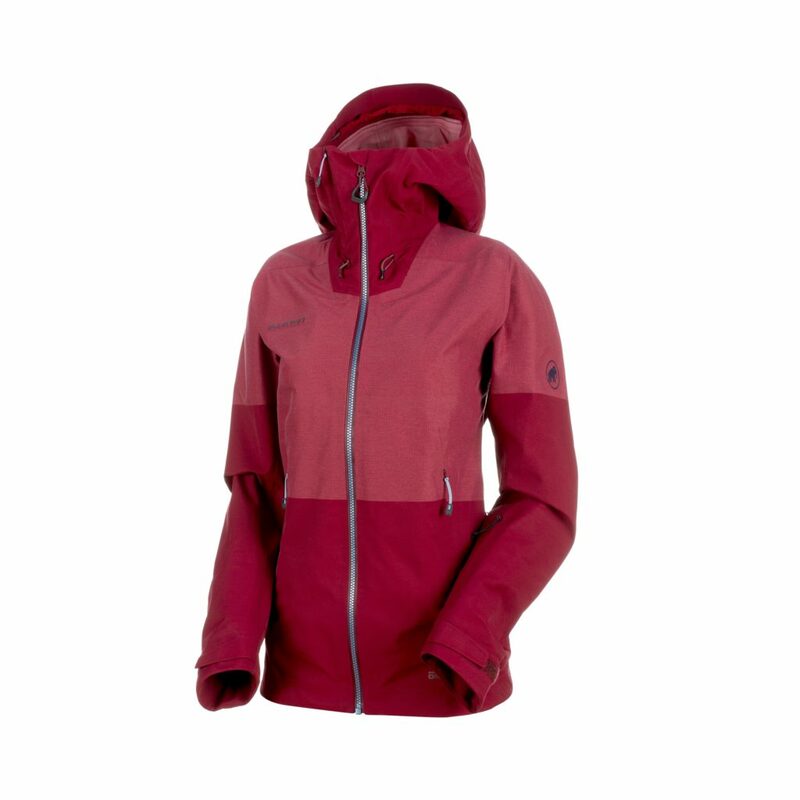 The jacket feels streamlined while durable, making it the perfect addition to powder mornings, cruiser days and backcountry adventures. 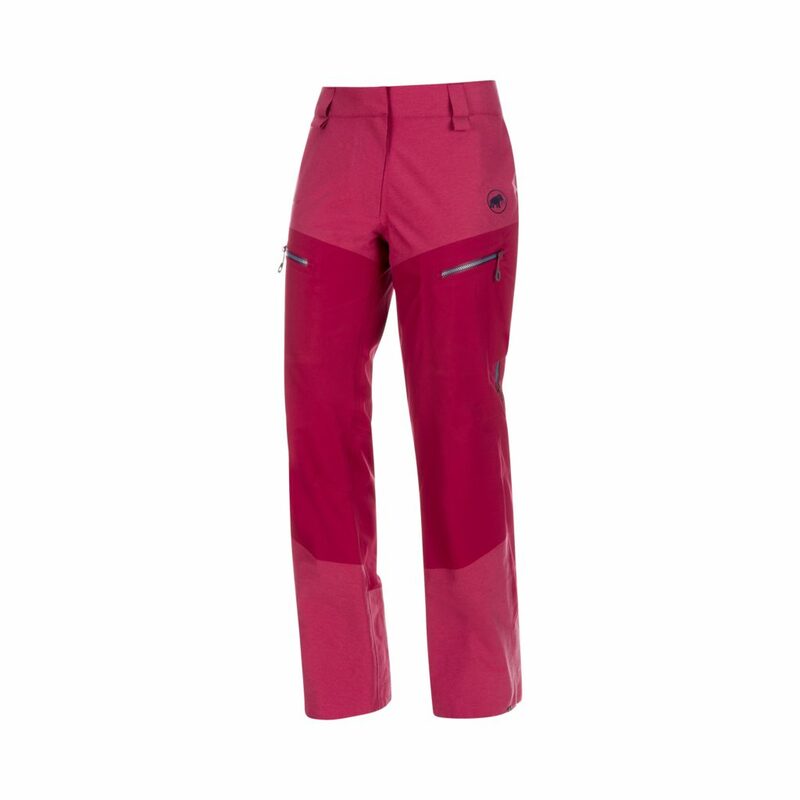 The pants have special abrasion-proof zones that are integrated into areas where wear is more likely. The waterproof surface of the ski pants keeps wetness out while allowing steam to escape, so 90 minutes of uphill touring is not only tolerable but enjoyable, and when you’re ready to descend just zip up the side ventilation areas before you go. Pros: Wear the jacket and pants as a kit for ultimate waterproof and windproof performance, but on days when you want to mix it up, both pieces are versatile and can be paired alternately for outfit variety. Cons: The kit has a higher price point than some, but it’s easy to see that it’s built to last. You get what you pay for with Mammut’s comfortable and durable innovative Phase Weave™ technology. Also, I needed to size up in the pants but the jacket was true to size. Where I Took It: Uphill touring and downhill skiing on Meadow Mountain outside of Minturn, Colorado, along with several full resort days on Vail Mountain. Kim Fuller is a freelance writer and editor based in Vail, Colorado.